We're offering this ex display set at a fantastic, one off price. The set comprises of a glass topped dining table with 6 Metz dining chairs in brown weave. Includes seat cushions with waterproof liners. 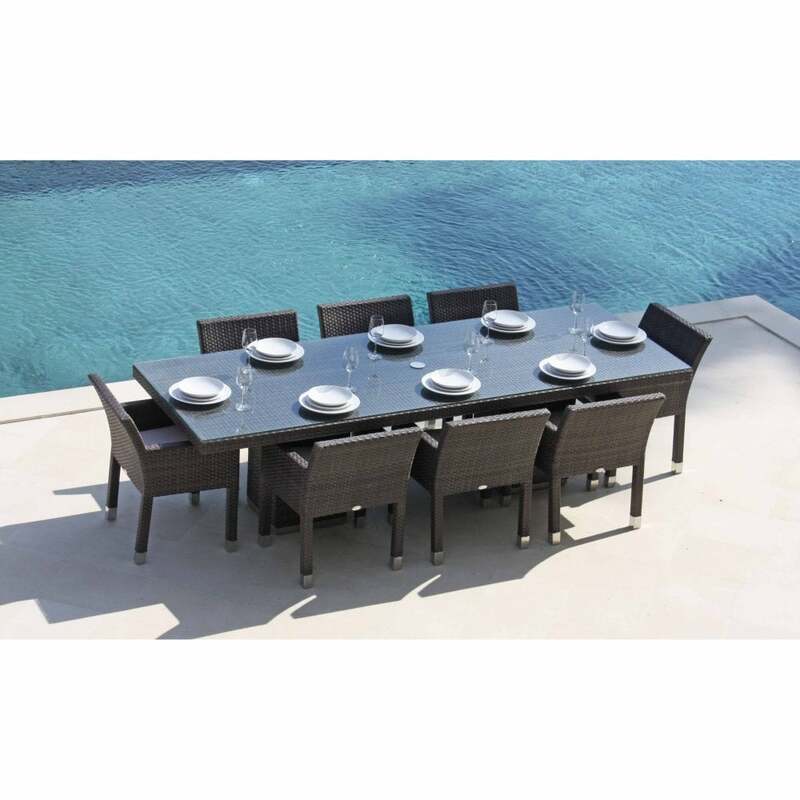 Skyline's garden furniture is very durable and is beautifully made. Please note: actual table is smaller than pictured. The set is available to view at our showroom, please contact us for details.